Narrator: Have you listened to the Creating Wealth series? I mean from the beginning. If not, you can go ahead and get book 1, that’s shows 1 through 20 in digital download. These are advanced strategies in wealth creation. For more information, go to JasonHartman.com. Jason Hartman: It’s my pleasure to welcome Geoff Ronning to the show. He is with Grow Profit Fast and he is the founder of an amazing product that does automated webinars – it’s called Stealth Seminar – and he’s here to talk to us about it today. Geoff, welcome, how are you? Geoff Ronning: Oh, doing wonderful – thank you very much, Jason. Jason Hartman: Good, good. Hey, I always like to give the listeners a sense of geography. Where are you located today? Geoff Ronning: I am in Litchfield Park, Arizona, which is just west of Phoenix, Arizona. Jason Hartman: Oh, fantastic. So we’re both Arizonans. I moved here from California about two years ago – I was a Newport Beach guy and now I’m a Phoenix person. So it’s great to be here, although it’s heating up a little bit and I don’t like that. Geoff Ronning: Yeah, I moved myself from Seattle area about 8 years ago and we’re not tired of the heat yet, because we were ready for the heat after that rain. Jason Hartman: Yeah. Well, I like it most of the year. But, hey, so tell me how you came to develop an automated webinar product and maybe actually I’ll even back up a little bit more – what is an automated webinar? Geoff Ronning: Sure. An automated webinar is a webinar that has been recorded and it’s replayed and you can choose to replay it as if it’s a replay or you can choose to replay it as if it’s live. And so, in that case, the attendees get the experience but they’re our live webinar with you. Regardless of whether you say it’s live or you don’t say it’s live, the end result is they get that experience that it’s live. And, of course, a lot of people like that experience. It typically is a very important component. If you consider like people that are listening to this podcast right now – they could jump onto YouTube and they could watch their favorite musician and they can do it from the comfort of their home, they wouldn’t have to leave the house, but probably most of them have left the comfort of their home, gotten into a vehicle, gotten into traffic, drove downtown, paid for parking, went in and sat in a crummy seat and listened to that musician as well and they paid a bunch of money to do it and they had worse seats than if they would have stayed at home and watched it on YouTube. It’s that live connection that people really love. Jason Hartman: So you automate the webinars and how did you come to develop this product? Geoff Ronning: I was doing a lot of webinars myself and so this was several years ago – let’s say probably about 6 years ago now, maybe 7 – and I was doing a ton of webinars and I was just flabbergasted that no one had automated them yet. So I thought, well, that’ll be easy. I’ll just automate them. So it led me down this whole malty year path when I went to tons of developers trying to get this done, but it finally happened. And so I started using it in my own business and people started seeing what I was doing and asked if they could give me money. Jason Hartman: So I’m sure you said yes to that one. Geoff Ronning: It took me a while. My wife told me it’d be smart to take their money. So, yeah, that started Stealth Seminar. Jason Hartman: So, for example, how many users do you have? Geoff Ronning: Oh, I’d rather not get into big numbers like that, but you can always see our hours count on the front of our website. Jason Hartman: Let’s talk about webinars then in general. First of all, why webinars as opposed to producing YouTube videos, podcasts, any other form of sort of mass media or semi-mass media communication? What is it about the webinar that you feel is effective? And then I’d like to ask you about some of the best practices for webinars. Geoff Ronning: Sure. The webinar, I think it’s such a high converting tool is because you reach people on an auditory level verbally and you also reach them on a visual level they see. So they can see and experience things. So you’re reaching people in multiple modes of communication. And then you throw in the live aspect and it creates that experience for people. So what you can do is create this wonderful sort of trusted environment where you are delivering a presentation and that presentation I think should always, and we’ll get into this in best practices, be valuable for the attendee. So if the attendee is there on a webinar and it’s live or automated live, then obviously there’s this law of reciprocity also in action because now they feel like they’ve got to do something for you because you’ve given something to them so they want to give something back to you just like we’re all hired wired to do. So that’s why. Jason Hartman: Yeah. And is there like an optimal length for a webinar? Should it be 20 minutes, 60 minutes, 40 minutes? What is sort of the optimal length and format for a webinar? You do webinar coaching, so you’re the guy that knows the best practices in how to make them convert. Geoff Ronning: Yeah. So depending on who your audience is and what your price point is and how your audience is arriving at the webinar. So let’s say that you were doing a webinar and people who are familiar with you. People who are familiar with you, Jason, they are already invested in you, so you could do a much longer webinar and often times it’ll be much more valuable. So, in that case, if it were going to be an audience that’s already familiar with you, you know what, then a nice 45 minutes to 75 minutes is a good length of time. Jason Hartman: 70, you even go over an hour? Geoff Ronning: Occasionally, yeah. But it’s gotta provide tremendous value, and that’s the big downfall that most people value make the error of not providing value. Jason Hartman: Yeah. Well, how do you do that? How do you provide value? Is there like a format where in the introduction you kind of talk about this and that angle and then in the middle part it’s different? There’s a lot of people that recommend – public speakers, for example, do it this way and they have a certain way of structuring a sales presentation. Feel free to dive into that. Geoff Ronning: Sure. So there’s a lot of steps along the way to create a high converting webinar, but in my formula they start with what are the top 3 value propositions you can put forth and solve on that webinar? So if someone’s doing a webinar on – whatever it is – say losing weight, well then probably 3 things that would be very important to that person is how they feel confident in going to a weight loss program even if you’ve failed in the past, how to go out to dinner with friends and family and avoid eating the things they shouldn’t eat, you know, things like that. So you try and figure out what are the 3 most valuable things that you are going to be able to help those people with on the webinar so that even if those people, if you were selling a product, don’t purchase a product, they’re gonna find tremendous value, becaue once they find tremendous value, of course they’ll come back. They’ll come back to you for other things. And so it’s only a matter of time then for them to eventually make a purchase. And, of course, the idea is they make the purchase immediately, but if that doesn’t happen then it’s certainly better that they make up for just tomorrow or the next day. Jason Hartman: Yeah, of course. Now, is there an ideal price point? You mentioned the length might vary based on the price point of what is being sold. Is there an ideal price point for a webinar, like an entry level product or can you sell high tech items on it? Geoff Ronning: You can sell…I’ll give you an example of myself. Obviously, I have like thousands of webinars that are running on our system right now because I have vast experience with a lot of things, but I’ll just tell you something that blew my mind. I guess it was the end of last year. I did a webinar where I was offering a product for $5500 and I was offering it to a cold list that people had driven to opt in from Facebook, people that had 0 relationship to me whatsoever, and I got a staggering – when I say staggering, I mean it was probably…I can’t remember the exact number, Jason, but it was…I believe it was somewhere around $800 per person that ended up converting. So, in other words, if there were 10 people in a webinar and $8000 was earned, I don’t remember all the exact numbers, but the thing that was staggering to me is that it was $5500 and none of these people had a relationship with me and it did awesome. So, I think if your webinar is put together right and you’re appealing to the right market – you know a market has money – and you’re offering true value, then your price can be way higher. Now, in that case, you’ve got to have a little bit longer webinar obviously because you’ve got to provide more value, develop that relationship, all those things. If I was selling like a $27 book, then it’d be no problem. I mean I could do a 25 minute webinar. It’s not gonna get any better. It’d probably go down in conversions the longer it went. Jason Hartman: And in terms of the mechanics of doing it, Geoff, using your system, should someone upload PowerPoints and just record audio with it? Can they and should they use video? How do you suggest someone build their webinar? The nice thing about doing it in an automated fashion is you can kind of rehearse and perfect and, once you get it, just nail perfectly, then it becomes automated. It does it over and over automatically for you, right? Geoff Ronning: Exactly, yeah. Yeah, and so some people get stressed or some people have had hiccups in the past with live webinars and they’re leery of doing them, so the nice thing about the automated is you can just do it relaxed and if things don’t go the way you want you just really quit it. So what I find is the highest converting is to start off with your face on the webinar. So with an automated webinar system like Stealth Seminar you can do that. So you start off with your face and then you switch over to a PowerPoint or Keynote presentation and all that is recorded. There’s a number of free screen cast type recorders which the two most popular ones are paid, they would be Screenflow and Camtasia. Jason Hartman: What was the first one you gave? You said Screenflow and Camtasia, but what was the first one? Jason Hartman: What do you use? Geoff Ronning: I like Screenflow. Jason Hartman: Screenflow. Okay, and how much does that cost? Geoff Ronning: It’s probably $100. Jason Hartman: Okay. So someone needs to buy that to use your system, right? Geoff Ronning: Well, they need to buy it or….The end result is they have to have a video. Everything’s got to be a video. Jason Hartman: Okay. So what they do is in doing the webinar they’re basically uploading a video to your site and then your site is playing the video over and over on a schedule in a webinar looking format – is that correct? Geoff Ronning: Yeah, more or less. I mean, there’s a lot more to it, but yes. Jason Hartman: And tell me what else there is to it? Geoff Ronning: Well, when you upload it, you upload a video file and then everybody online has different computers, different internet access, somebody might be on a brand new computer with a high speed internet, somebody else might be on an iPad, somebody else might be on a crummy internet access on a low-end computer. And so what happens when you upload it is Stealth Seminar takes it and it does something called re-encodes the file, so what it does is it takes that video file and it makes it appropriate for streaming online. Because what we do is we really stream just as if you’re watching any live streaming program. So that’s why it can be suitable for different types of systems. And so that is extremely important because if we don’t do that then you have to do it and that’s a big mess. And then the other thing is obviously Stealth Seminars delivering a version that is appropriate for that person. Jason Hartman: Right, right. Do you want to talk about any other best practices? Geoff Ronning: I’d say the best practice is to get a webinar recorded. Do it as fast as possible. As fast as possible, I mean don’t put it off for days, weeks, months at a time. If people go…There’s a lot of resources on my website. People can go there and find a lot of resources. Put together a webinar and the key is just automate it because once you automate it then you can be off doing other things, working on other projects, spending time with your family and it can be running. And while it’s running, it can be generating sales. And the cool thing about automated webinars is that you can split test them. So you work on the first one, then you say, hey, I’m gonna try another one and then you just split test it. So it happens automatically, the Stealth Seminar system, says alright, well the second one you did converted higher, so now you can choose to just run the second one. So it makes it really nice to get as profitable as possible. The best practice, don’t let time…don’t get sidetracked, just do it. Jason Hartman: Mhm. Yeah, okay, so don’t make an art project out of it, just do it. But like are there any maybe gurus that you want to recommend that tells someone how to set up that perfect webinar sales presentation? There’s a lot of detail to it, at least from what I’ve seen in terms of the platform skills. There are people that teach platform skills in how to sell from the platform. And those people are just experts. I wish I had that skill. I guess I have it a little bit, but not like some of these pros that I see out there doing it. Any books or resources or websites where people can find someone that’ll teach them how to structure it and how to do the clothes and how to say it? And the other question too, Geoff, is do people ever do multiple people on webinars very much so you hear multiple voices? Or is it usually just one presenter? Geoff Ronning: Um, it’s typically just one presenter. But there’s no reason you couldn’t do multiple. Like let’s say that right now instead of doing a podcast with this we could be doing a webcast and we could both have our pictures on the webinar so people could be able to see us as well and we’d be able to see each other. As to the other question, yeah, there’s several people out there that offer webinar services – I’m certainly one of them. I have a formula called the Successinar Formula which draws from my background as a live presenter and hypnotist and from doing so many webinars, obviously, all my life. And there’s a terrific video on my website that really takes people through that and if they go there, they go to the front page, it’ll be really right at the top. Jason Hartman: And you might as well give out the website, too. Geoff Ronning: It’s my name. It’s spelled a little different, it’s GeoffRonning.com. So it’s GeoffRonning.com, and I’m looking here for the page. It’s the exact formula to create webinars that educate and sell without being a pushy slimy devil. Jason Hartman: Okay, and that’s under the resources section? Geoff Ronning: It’s under videos and it’s free. Jason Hartman: Okay, so it’s free resources, then videos I believe is the structure. Jason Hartman: Okay, right. And so you’ve got some good videos there. And compare some of the products if you would out there, Geoff. Many people have heard of Mike Filsaime’s evergreen product. We elected – I had my staff researching this for a little while – and we elected to go with your product rather than his but I didn’t really get too involved in that research as to why. But any comparisons in terms of different products? Like, one question that I would have is how many people can be on the webinar? You know, how many attendees can be on at any given time? Geoff Ronning: Yeah, that’s a great question. There was a number of products that kind of came on the scene to try to catch the fad of this automated – what they viewed as a fad of automated webinars. So a lot of people were kind of early adopted to bar system and then thought, oh, well this will be easy and then so some of them went off and tried to create their own, but more or less they’re all dead in the water. I mean there’s not much going on with them. A number of them have closed recently and that’s just as well for the users because they didn’t do that good a job anyhow and I know that I’m bias. But just to get specific with you, like for instance we’re the only service that streams. Now you might say why is that important. Jason Hartman: Only service that’s what? Jason Hartman: Streaming, okay. Why is that important? Geoff Ronning: So, here’s why. If you were with us, Jason, and someone hits reload or goes and visits YouTube or Facebook and comes back, with us let’s say they’re gone for 5 minutes, well they’ll be 5 minutes in the future, if they’re gone for 10 minutes, they’ll be 10 minutes in the future. Anything else would seem ridiculous, right? Jason Hartman: What do you mean? You mean the webinar keeps going without them is what you’re saying. Geoff Ronning: Yes, whereas with the other ones, it doesn’t. It goes back in time to a fixed point. So each time you hit reload, which is very common with people when they’re watching presentations because it’s like their fingers are going crazy. People go over, check their email, they come back – it starts back at the beginning revealing the video. Jason Hartman: Right, right. So it doesn’t give them that live feel obviously. Geoff Ronning: Exactly. And it works flawlessly iPad, iPhone, iPod Touch – we’re the only one that does that. And those make up approximately 20% of the traffic online right now. And those individuals are also higher dollar buyers, so it’s obviously important if you want to be as profitable. We also have the best – most people say – the best support of any of those services and most services online. You can always see our average response time on the front of our website. It’s typically less than 5 minutes. We also set up events for you for free so you don’t have to. Jason Hartman: What is an event? Geoff Ronning: We also guarantee your events will run which seems like a really basic thing, but no one else does that. So you said how many people can I put on a webinar? And there’s a different capacity. So for our intro package it starts at 150 attendees simultaneously on a webinar. So that means in each webinar you could have 150 people. And then our rates increase depending on the needs of the client. And that goes all the way up to 10,000 simultaneous attendees. So we can put a heck of a lot of people, and again we guarantee your event will run. Jason Hartman: Good stuff. And give us some ideas to the pricing if you would. Geoff Ronning: People, right now, if they go on to StealthSeminar.com and they click in the upper right hand corner, they can go to a webinar and there will be a special there, people can sign up for $99. That includes their first month and then each month thereafter it’s $70 a month. Jason Hartman: Good stuff and that’s great. This is a very interesting topic and I think people should really get to using it. I can’t wait to make it a big part of my business and thanks for coming on and joining us today. Geoff, any thoughts in closing? Geoff Ronning: No. I just appreciate you taking the time to visit with me, Jason, and if there’s anything I can do for you or any of your listeners, I’m right here. 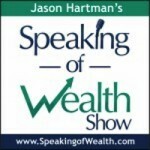 Jason Hartman: And the website is StealthSeminar.com, thanks.